Opening times Mon–Sat 10am–6pm; Sun 11am–6pm. Seasonal times Closed Dec 25 & 26 and Jan 1. Newcastle is home to the International Centre for Life, a science village where organisations do groundbreaking work – the world’s first cloned human embryo was produced here. 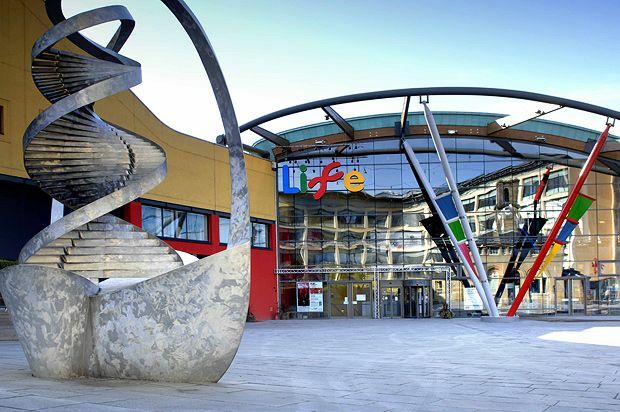 Within the complex is the Life Science Centre which boasts a state of the art planetarium, interactive exhibits and live theatre shows all celebrating STEM. A giant inflatable moon with detailed imagery of the moon's surface, courtesy of NASA, by artist Luke Jerram.